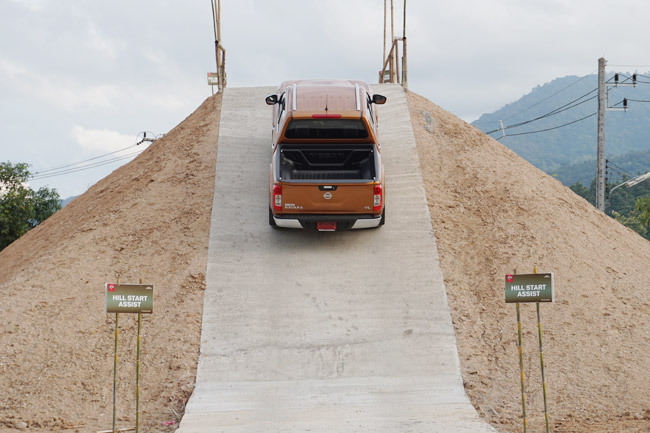 At our recent trip to Chiang Mai, Thailand, to test-drive the all-new Nissan NP300 Navara, the Japanese carmaker took the time to flaunt the pickup's many safety features that aid it in tackling less-than-ideal terrain. 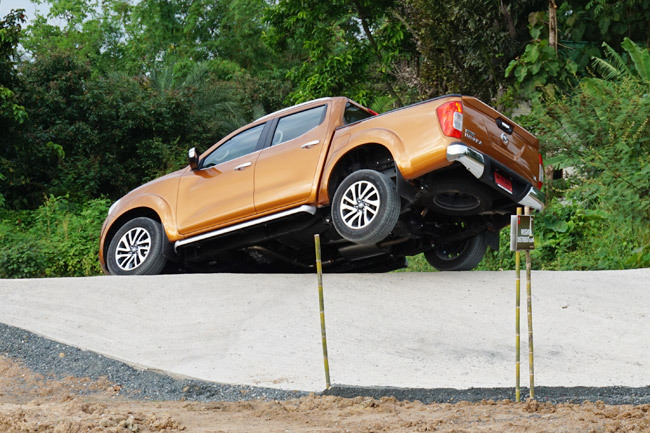 Thailand is the pickup capital of the world, and over there incompetent pickups are laughed at and left to rot on showroom floors. 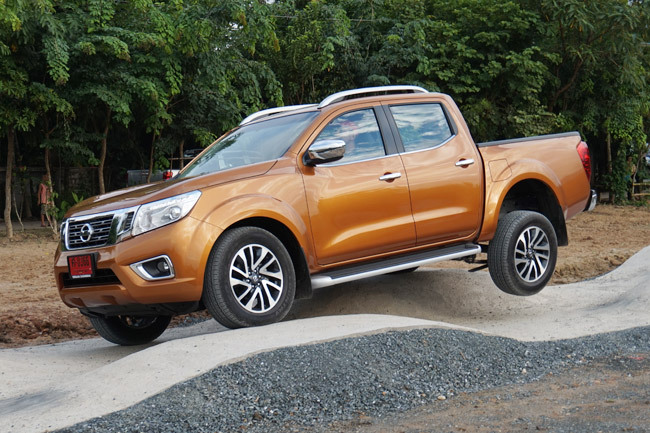 It's not enough that the exterior design is pretty--the Thais need to be assured that the vehicle itself knows no boundaries (apologies to Ford). 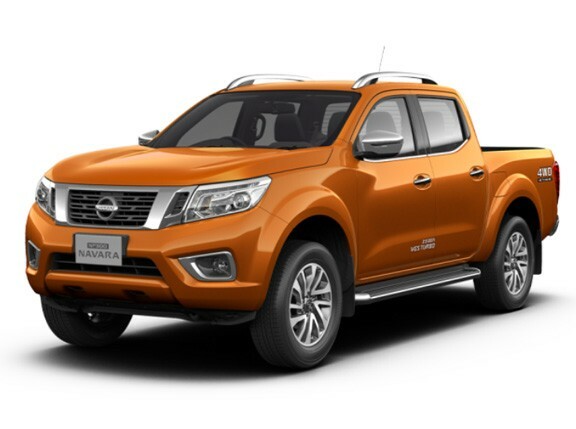 Besides giving the YD25 2.5-liter diesel engine a new variable-geometry turbocharger, Nissan also equipped the new Navara with a host of electronic driving aids to ensure that everyone who will sit behind its wheel will have no trouble going forward whatever the situation may be. 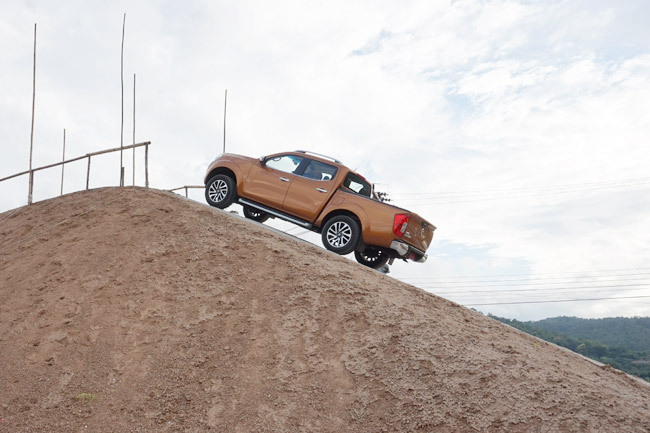 Among these features are a shift-on-the-fly 4x4 transfer case, vehicle dynamic control, active brake limited slip, hill start assist and hill descent control. Sure, the off-road driving exercises you see in these photos are nothing new. 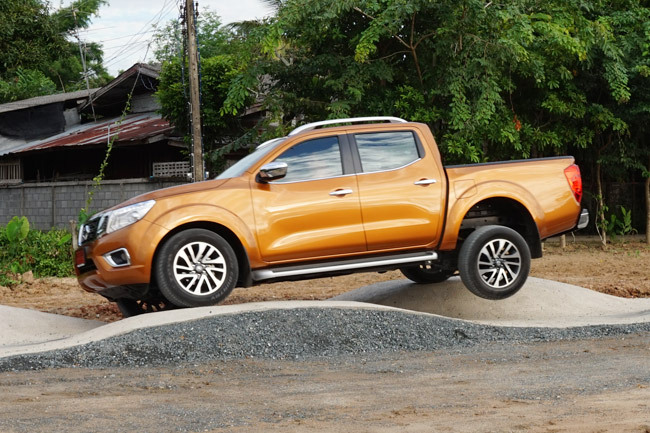 But we want to share them with you just the same because we know that most of the images you've seen of the new Navara are beauty shots--either static pictures or tracking photos on paved roads. 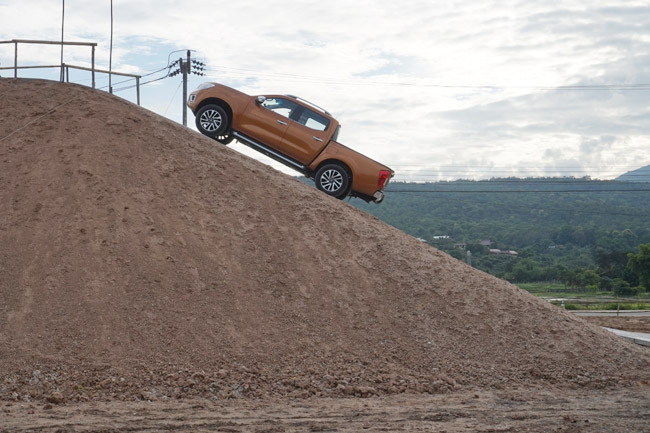 This right here is a backdrop we bet you haven't seen the NP300 Navara against. 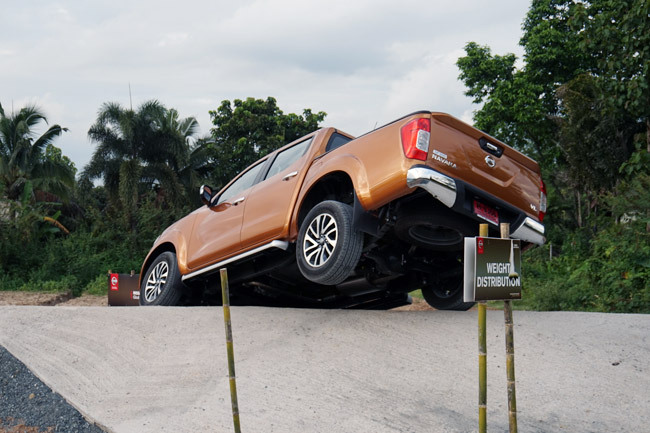 Yes, just like you, we're also now itching to pit this pickup against the likes of the Ford Ranger and the Chevrolet Colorado. Now, that would be a rumble.